Worked as a valuer since 1982 and registered as a qualified professional valuer since 1994. Joined the Group since 1986 and currently mainly in charge of valuation of all types of properties, auctions, real estate agency, property consultancy and management. 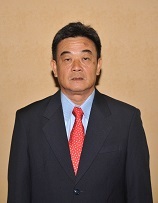 He is the Executive Director of the Groupâ€™s Subang Jaya office.